You are right – finally the source-code of JavaFX is shipped with the JDK. The next nightly builds of e(fx)clipse appropiately detect the source-zip which means you can now inspect the JavaFX source directly in the IDE, step through the JavaFX-Code in the debugger, … if your project uses Java8. 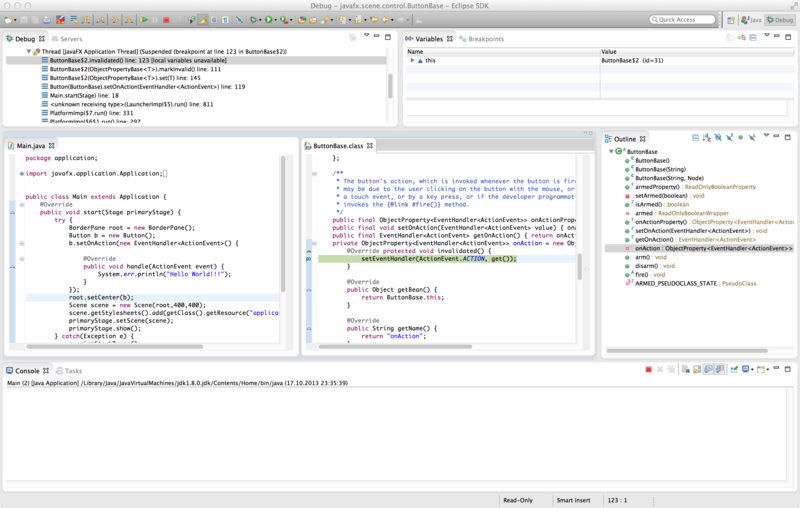 This is a huge forward when developing JavaFX applications.